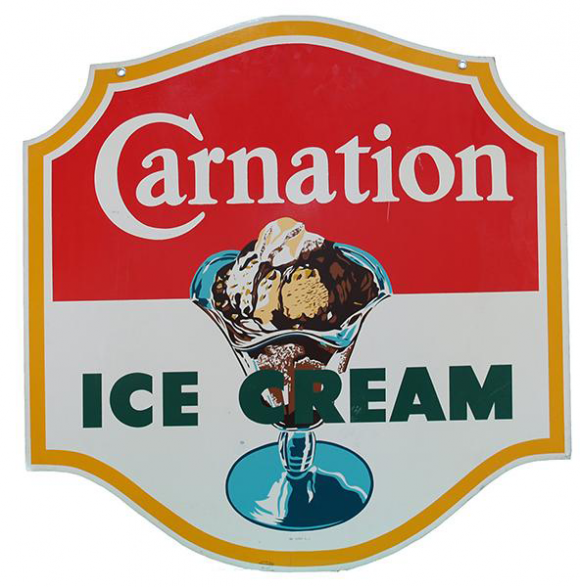 This is a die-cut Carnation Ice Cream porcelain sign. This particular Carnation Ice Cream sign is very colorful and features a ice cream sundae in the center. It reads, “Carnation Ice Cream” and has a yellow border.